Let’s be honest, there’s nothing very exciting about standard heating systems. You tap them on, you turn them off, you walk away and forget about them. For all the promise the home of the future offered, for a long time it seemed the world had turned its back on the humble heater. But that’s all changing, thanks to the rise of the smart home. From kettles that boil themselves to lights that can be set to every colour of the rainbow from your phone, we’re automating more and more of everyday life through connected technology. And heating is no different, as brands like Nest and Hive look to bring warming or cooling our homes bang up to date and ready for 21st century living. So what do you need to know to get started with connected heating? TechRadar’s Gerald Lynch gives us 10 reasons why your next home improvement should be installing a smart thermostat. This is the biggie. Bills hit us where it hurts – in the piggybank. But smart thermostats, by helping to more precisely regulate your home heating habits, can save money on energy bills over the years. 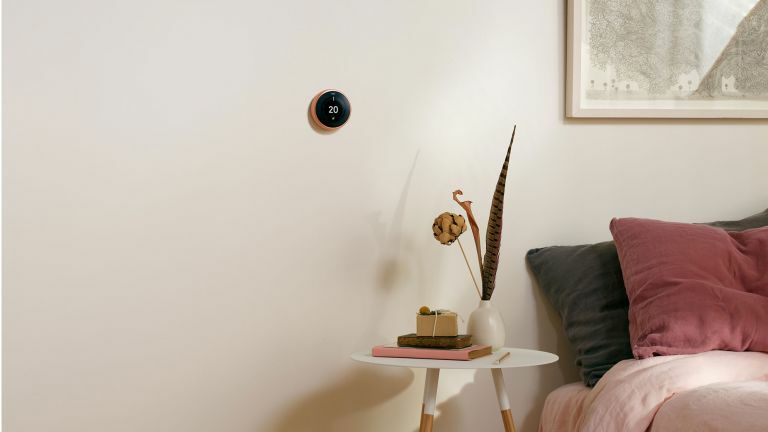 Nest claims its systems can save you between 10 and 12 per cent on heating and 15 per cent on cooling, while Ecobee claims its gear can save an average of 23 per cent off your bills. By giving you greater control over your heating schedules, you’ll find you’re only using it when you need it – with systems able to monitor and maintain a comfortable temperature rather than overheating, and switching themselves off if you’re not present. Over time, these energy-saving tricks convert to not just pennies, but notes you’re saving too. However, a smart thermostat is going to be a bit pricier than your standard old dumb one, and that’s before considering the potential price of professional installation if you’re not particularly handy. If you’re thinking of moving house in the next two years, you might want to consider getting it installed after that move if you want to make your money back fast. If you’re saving money with a smart thermostat, that’s because you’re using less energy. And, if you’re using less energy, you’re doing your part to help reduce the strain on the world’s resources we humans cause as we go about our lives. With so much of the world’s energy supply still generated through fossil fuels rather than renewable sources, you’ll be reducing your carbon footprint and taking the strain off the environment. Smart thermostats, like the multiple generations of Nest Learning Thermostats, get that ‘smart’ moniker by being able to anticipate your needs, rather than being reliant on you to make every single tweak to your heating schedule. Over time, they learn your routine, habits and preferences, and are able to adapt your heating settings to suit them. The Nest, for instance, can connect up to your phone, learn your commute times and when roughly you return home, and have your home hit your preferred temperature automatically before you get to your door. Over the course of a year, it’ll eventually learn your preferences as the seasons change too, and adapt accordingly, and can even make ad-hoc changes if the day-to-day weather takes a drastic change. Who hasn’t ever wanted to speak to their radiator? No? No one? Well, OK, it’s a niche need, but there’s something quite fun and space aged about being able to speak to your smart home controller of choice, be that Amazon’s Alexa, Apple’s Siri or Google’s Assistant, and have it magically regulate the temperature without you having to lift a finger. All the best smart thermostats integrate with the big three voice assistants you’ll find in your phones or smart speakers, and can easily be set up to communicate with each, giving you hands-free voice control of your home climate. Old school thermostats look functional at best, probably some with a tiny LCD screen better suited to a calculator watch, others with arcane dials and timer switches in order to program your heating schedule. That just won’t do for generation smartphone. Devices like the Nest range feature beautiful coloured touch screens that are not only far more easy to program, but far easier on the eye too. You won't want these hidden away in a cupboard like your standard grey-box thermostat, with smart thermostats adding a level of starship-chic to whichever wall they’re placed on. One of the great things about having a smart thermostat is the fact that, once it’s begun to learn your routine, you don’t have to worry about it as it goes about its work. But, if it’s still in the process of learning your habits, or you just want a party trick to show off your new toy with, you’ll be able to remotely set the thermostat and its timer by using its associated app while you’re out and about. Return home, and your pad will be heated or cooled ready for when you open your door. If you’re jumping all in with the smart home way of life, it’s worth considering the extra possibilities that open up to you if you include other sensors into the mix. Devices like the Elgato Eve Motion and Hive Motion Sensor can be used to track movement in your home, while the Devolo Home Control Humidity sensor can track the amount of water vapour in your abode. Once such gadgets are connected to your smart home hub of choice, you can use an IFTTT (‘If This, Then That’) application to set pre-programmed instructions for your thermostat to carry out based on the readings coming from each sensor. So, if the motion sensor notes you walking around in your home after a cold, hard day at work, it can automatically send a message to your thermostat that it’s time to crank up the heating. With a regular thermostat, you’ll get your energy bill come in, and be left scratching your head as to exactly how you managed to spend quite so much money on hot water. Those showers we’re super short, right? With a smart thermostat and the mobile applications they often pair up with, you’ll be able to pinpoint exactly when your usage is spiking and driving the cost of your bills up. Just be ready to have a stern word with your other half on maybe cutting back on those two secret daily baths they’re having while you’re not there. Unlike older thermostats, smart ones give you minute control over temperatures around your home – not just to a degree, but even within a degree if you’re really picky. With a more vibrant display and simpler controls, it’s easier to see exactly when and how quickly something is heating up too. You’ll be able to find your perfect temperature and maintain it incredibly easily. What with the aforementioned global warming, predicting the weather can be like trying to pick a winning lottery ticket. A quick cold snap can blow in overnight, or a heatwave turn you into a sweaty mess. With a regular thermostat you’d either have to manually set the temperature to something more comfortable, or grin, sweat, and bear it rather than reset your painfully programmed heating routine. But, with sensors like the latest Ecobee products automatically adapting and anticipating your needs based on incoming weather reports, your smart home thermostat will be able to make tweaks to room temperature on the fly based on what it knows about the weather blowing in. Want to find out more about home tech?